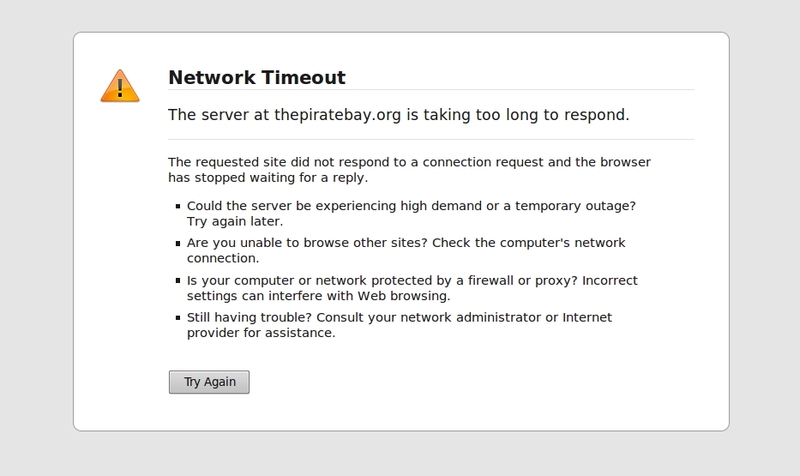 I guess the court decided that TPB had to shut down in its current form, which they now have. I have no idea if the trackers are still up, or any of the other components. I just know a lot of other sites are still serving out illegal content. In other news also, before they shut down, there was apparently a torrent of all the torrents (several gigabytes in size) of just the .torrent files, which could potentially be used to set up a new site/tracker whatever. I didn’t follow very closely, but i’m pretty certain that someone (or a big load of someone’s) got that download done before the end. So maybe the tale of TPB isn’t done just yet. But the boat is definately sinking, and the last swig of rum has been had, i think. Any legal form it’ll return in will not succeed. Mark my word. People aren’t looking for a site that’ll give them what they want for a premium or for some other catch-22. They’ll just head elsewhere, because these sites will never go down. Pirates are like ninjas in that way. They are everywhere. (I’ll get shot for saying that!). 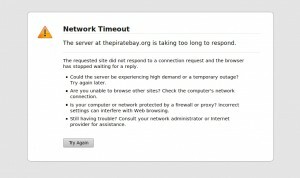 In memoriam, you could check out static.thepiratebay.org from http://www.archive.org, and check out some of the hardware that ran the piratebay, from it’s humble beginnings in 2004, to the latest archives in 2007. Sadly, the latest aren’t there, but i bet someone has them. If you see them somewhere, hit me up with a link.